6 days is going to be a squeeze to fit in all the amazing things between the New Zealand’s capital and our biggest city. That’s why we have got our heads together to come up with the highlights along the way so you can sit back and enjoy the drive. You’re welcome! OK – let’s GO! If you’re looking for more inspiration, you can check out our guide to Wellington. Afterwards, take some time to wander around the Whanganui Regional Museum, on Watt Street, which displays the impressive work of Gottfried Lindauer, one of the most famous colonial artists in the country. The museum also includes one of the most important collections of Moa bones, including some complete skeletons of the extinct giant bird. 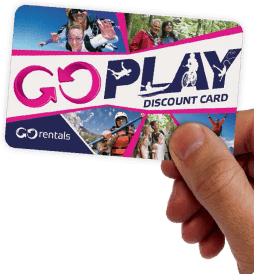 Hop back in your GO Rentals car for the last trip of the day up to Taupo which should take you around 3.5 hours. this town situated on the shore of New Zealand’s largest lake. Make sure you stop at the Huka Falls, a set of incredibly impressive waterfalls along the Waikato per second (that’s a lot of water). Next, stop at the Huka Prawn Park (Karetoto Rd) for a visit (you’ll need a couple of hours if you want to take the tour) and some seafood deliciousness. The Desert Road itself is worth the drive as the scenery is not something you’ll find anywhere else anywhere else in the world) so take your time to soak in the views. Although this is a guide to off-the-beaten track adventures it would seem wrong if we failed to mention the amazing skydiving to be had over Lake Taupo. The views are simply stunning as you further bonus is that Taupo Tandem Skydiving is a GO Play partner and will kindly offer you a 5% discount for the pleasure of throwing yourself out of a perfectly good aeroplane! For stunning examples of Maori culture that you’ll not find anywhere else, pay a visit to Te Puia (about five minutes from the centre of town). You’ll learn about Maori culture and costumes from Maori people themselves, as well as witness a few more examples of geothermal activity (we’re still in Rotorua after all). Make sure you attend the Maori culture performance at the Marae (by the entrance) and visit the New Zealand Maori Arts and Crafts Institute located inside as well. Te Puia also includes a live kiwi bird enclosure (a rare opportunity to see the New Zealand icon) and the famous Pohutu Geyser. The New Zealand Caterpillar Experience will be another one of those unique places you probably don’t expect to find anywhere. Located on 171 Fairy Springs Road, this is the work of Lindsay Willis, a man who has been collecting Caterpillar equipment for most of his life. We’re talking heavy machinery here, no small stuff. This is the world’s foremost collection of this sort of equipment and Willis keeps it all in excellent condition (with some of the oldest ones still in working order). The displays are set alongside footage of some of the machinery at work, way back in the day, and you’ll get to see some trucks and bulldozers that are now the only examples left of their kind. Impressive stuff! don’t find that in many other places. Before you head out of Putaruru, stop for a visit to the international acclaimed Blue Spring with crystal clear blue waters. Pack a picnic and head along the Te Waihou Walkway to reach the spring. The walk takes about 1.5 hours each way and passes through rolling farmland, New Zealand native bush and even some waterfalls. Mandatory waterfall photo taken, it’s time to keep heading south. Our next stop is Matamata. Dust off the hiking boots, we’re going for a little walk. Well, sort of little – 7 kilometres. The Karangahake Gorge Walkway features the remains of a historical railway nestled in a natural gorge setting. The walk will take you through relics of back in the day when the area was a big gold mining region. It follows the railway line through the gorge and alongside the Ohinemuri River, through the Victoria Battery Complex and ending in the Waikino Station (which includes a cafe for a much deserved post-walk beverage). To get to the start of the walkway, park your rental car at the Karangahake Domain Car Park on SH2 between Paeroa and Waihi, get your hiking boots on and off you go! As you head towards the peninsula, make sure you stop by the impressive Martha’s Mine in Waihi. You can take a goldmine tour and find out more about this important part of New Zealand history. Take some time to learn a bit more about the gold mining history, as there won’t be many other opportunities to do so during the trip. From here you head to your final destination – we recommend a stopover in Whitianga which is just short of 2 hours from Waihi. You could spend 6 days in and around Auckland alone there is some much to do but with only 6 days to spare, 1 day in NZ’s largest city, home to 1.3 million people and known as the City of Sails is all we can afford. After a nice stroll in downtown Auckland, checking out the Viaduct area and maybe grabbing a bite to eat it’s time for one last drive out in your hire car. A perfect place to end this adventure is to head out west through the suburbs and out to the Waitakere Ranges. With heaps of tracks through the lush forest, there is plenty to keep you busy here. If walking’s not your thing, keep driving through the forest and end up at one of the superb west coast beaches like Piha or Muriwai. The surf’s good out there and the black volcanic sand makes for an interesting day at the beach. If you’re looking for something a bit closer to home but still fancy a drive out, head on out to Devonport or even up to one of the North Shore’s laid back locations like Browns Bay where you can grab a coffee and watch the world go by. There are so many things to do in the big little city that getting lost for a day won’t be a problem. Check out our guide to Auckland and around for more ideas of great days out in the ‘big little city’.